Started sixth, finished third to earn eight stage points. Custer ran the majority of Stage 1 in the top-five. He noted his Haas Automation Mustang was tight in the center and free on entry throughout the stage. At the conclusion of Stage 1, Custer took four fresh tires and adjustments. Started fifth, finished fifth to earn six stage points. Adjustments improved the handling of Custer’s Ford Mustang at the beginning of the stage, but the handling became loose on landing as the stage went on. Custer took his second set of fresh tires and air pressure adjustments at the conclusion of Stage 2. Custer ran in and around the top-five for the majority of the final stage. On lap 160, Custer pitted under caution for four tires and adjustments. He gained one position and restarted fourth. After the final caution, Custer restarted 10th and battled his Ford Mustang up three positions before the conclusion of the race. Custer was the highest-finishing rookie and NASCAR XFINITY Series regular in all three stages. 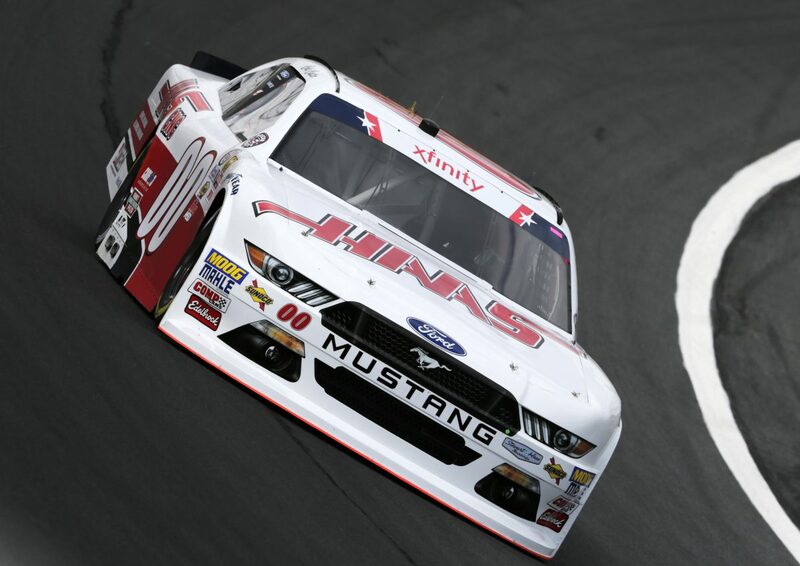 This marks Custer’s fifth top-10 finish in 15 career XFINITY Series starts, his third top-10 of the 2017 season and his second consecutive top-10 finish at Charlotte Motor Speedway. Custer earned the most stage points of any XFINITY Series regular driver with 14 stage points. This marks Custer’s second consecutive Charlotte Motor Speedway finish as the highest-finishing XFINITY Series driver. There were a total of 12 cautions for 52 laps. How did you feel about the race today at Charlotte?